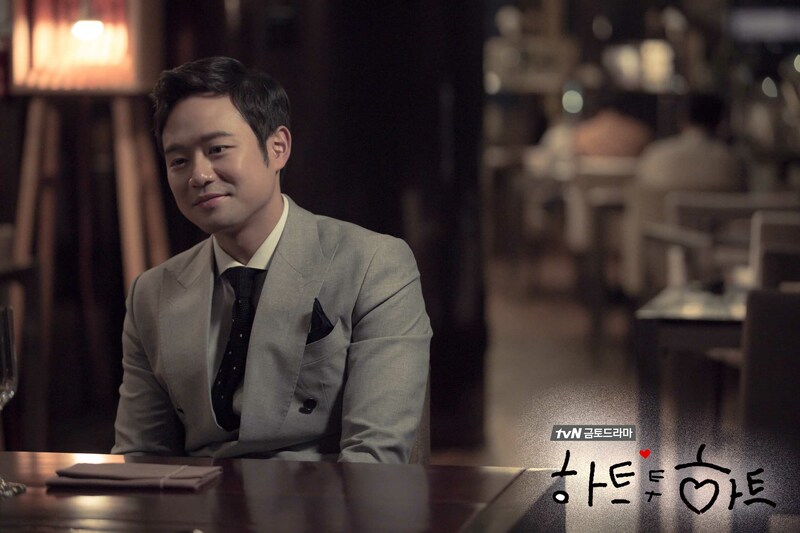 As you can obviously tell through the title, this post will cover on recently finished tvN drama ‘Heart to Heart’ starring Chun Jung Myung and Choi Kang Hee. I’m not a big fan of either actor and actress, but I think it was because of that reason that I wasn’t so picky about this drama and felt compelled to watch it (other than it being a tvN drama as well). I went in watching this drama not knowing who the other supporting actors and actresses were and not knowing much about the plot either so I watched ‘Heart to Heart’ not knowing much, but I finished the first episode feeling satisfied and fulfilled. As much as I like to deny it, I’m really picky when it comes to actors and actresses and the cast in usual so I’d be lying if I said that the cast doesn’t determine whether I watch a drama or not because it usually does. 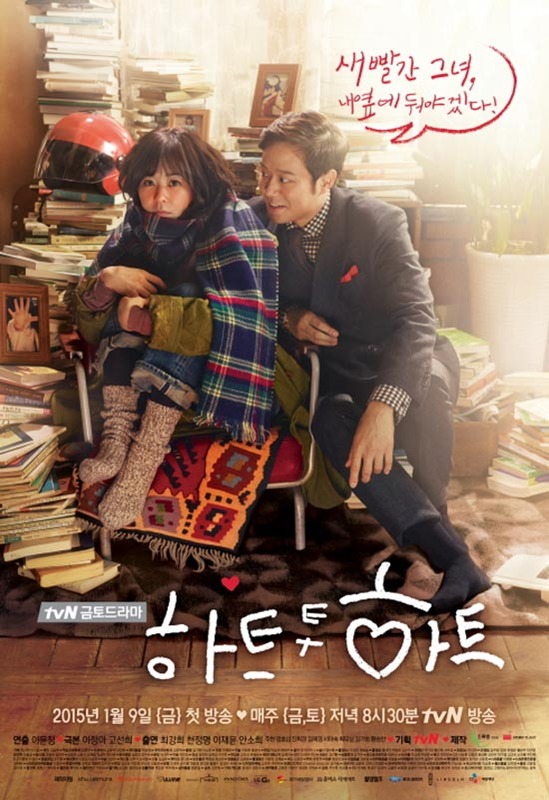 In this case for ‘Heart to Heart’, I didn’t really follow Chun Jung Myung or Choi Kang Hee or the other supporting cast members Lee Jae Yoon (I’ve only seen him in Cruel City) and former Wonder Girl’s member Sohee before the drama so I think it was for that reason that I watched this drama. I don’t have any opinions or thoughts towards them in any particular way so I was willing to give this drama a chance and I’m glad I did. Chun Jung Myung plays Go Yi Suk, a psychiatrist while Choi Kang Hee plays Cha Hong Do who suffers from social phobia or social anxiety disorder and from severe blushing. Lee Jae Yoon is not only Cha Hong Do’s crush of 7 years but also a detective who goes by the name of Jang Doo Soo. Last but not least is Sohee who plays Go Yi Suk’s younger sister, Go Se Ro. So far in episode one I feel like all the cast members are playing their characters fairly well and I’m very satisfied. Although I feel like Chun Jung Myung can overact and overexaggerate his acting sometimes, he’s still a very talented actor nonetheless. There’s just something about the very shy, quiet, and embarrassed young lady storyline that gets to me and makes me squeal and feel all fluffy inside. I especially loved the scenes where Hong Do interacted with her crush of 7 years Doo Soo. It just made me feel all jittery and fluffy and giggly and I don’t know, they’re just so cute together. He tries to get her to talk but knows that she prefers not to so he tries other methods to get her to explain herself and it’s just small things like that that makes me support them. He understands her in ways that no one else does and just like how she does for him, he cares for her and looks out for her too. I love the way she acts so shy and timid around him while he’s trying to elicit some kind of response or reaction from her. Haha, seriously way too cute! And how could I forget the fact that she’s cooked him food for the past seven years and secretly (but he already knows it’s her) drops them off at his place. SERIOUSLY HONG DO AND DOO SOO. Y SO CUTE. I think it’ll definitely be interesting when she gets closer to Yi Suk and eventually falls in love with him just because their first meeting wasn’t your usual and typical accidental meeting; It was rather very dramatic, traumatic, serious, and crazy and seeing just how he treated her in the first episode makes me feel a bit iffy about their future relationship later on in the drama. I think the drama’s going to have to do a really great job executing the creation of their romance because I just feel very iffy about their first meeting overall and how a love line could possibly evolve from that and because Doo Soo and Hong Do are already so adorable with each other. However, knowing that this is a tvN drama, I’m hoping I won’t be disappointed because tvN dramas rarely disappoint and instead for the most part delivers. If there’s anything I’m looking forward to in ‘Heart to Heart’, it has to be those heart-felt and heart-to-heart (pun intended) scenes between our characters that really reveal who they are and exposes their vulnerability. I do love myself some laughs and giggles along the way, but emotions of being touched and some tears impacts me so much more so I’m hoping that ‘Heart to Heart’ will deliver on that part (in which I know it will because I mean come on, it’s tvN we’re talking about here). I find Yi Suk the most interesting and intriguing so far in this drama. He’s a psychiatrist but in episode one we see that he has problems himself and is going through pain like all his other patients are experiencing. And just from witnessing this, I think it definitely brings up the idea that although psychiatrists are there to assist others, that doesn’t mean they’re immune to problems that they might be dealing with and in fact could also serve as patients themselves. I thought it was very interesting how in the beginning of the drama he seemed like he had everything together but then by the end of the first episode, within those 59 minutes, you witnessed his whole world literally crash and fall down and disintegrate. It definitely demonstrates the idea that anything can happen at any time. One moment the world may be with you and then in the next you’re up against the world by yourself. I’m curious as to how Yi Suk’s going to drag himself out of the hole he created and dug himself into. I’m assuming it’s going to involve Hong Do somehow and I hope that along the way, among all the misunderstandings, problems,arguments, miscommunication, interactions, and contact, they help each other out while they find themselves. Hong Do is shown to be the one suffering from a phobia in this drama, but Yi Suk is also going through problems of his own and I hope it’s through helping each other and forming that strong bond that the two can overcome those difficulties and obstacles and develop individually, respectively. 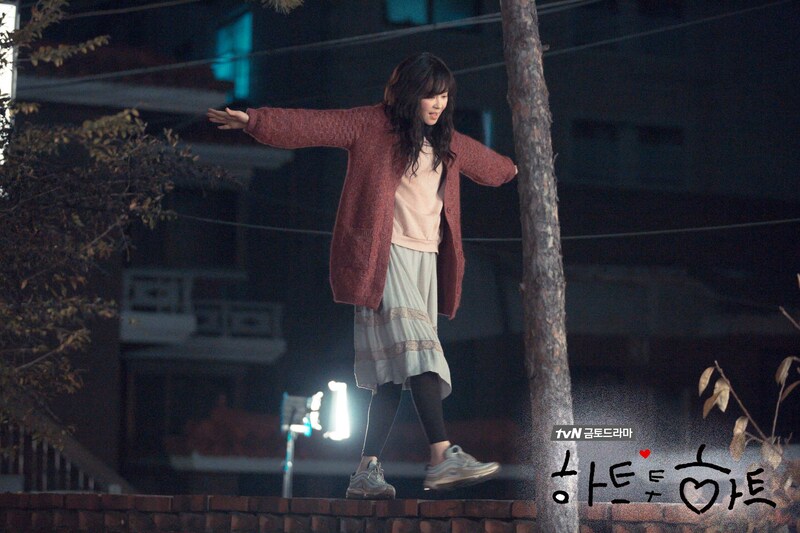 Park Bo Young to possibly return to dramaland!